Busy households are full of lots of tasks that need to get done regularly- and there is just no reason why all of that work needs to fall on one person's shoulders! Even from a young age, kids can get involved in helping with chores and learn how to get organized. 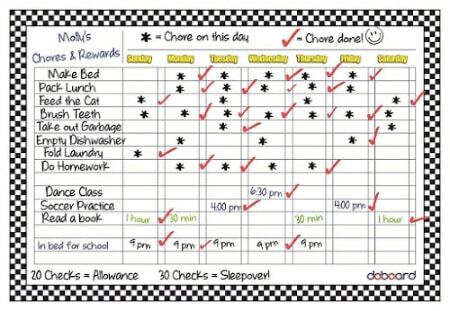 These are the best chore charts for kids that can serve as a great tool to communicate with and motivate your kids to get those chores done! 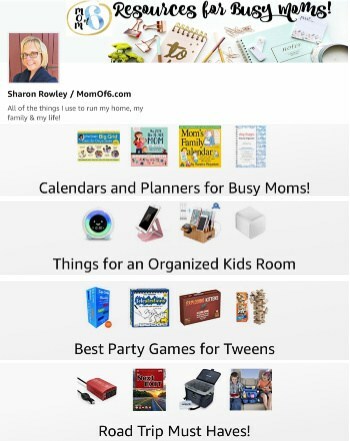 Here are Our Tops for the Best Chore Charts for Kids! These are the best chore chart options for younger kids, older kids, ones that look nice on your wall, and a great alternative to using a traditional chore chart! Magnetic Chore and Behavior Chart This is an affiliate link: MomOf6 earns a commission if you purchase, at no additional cost to you. 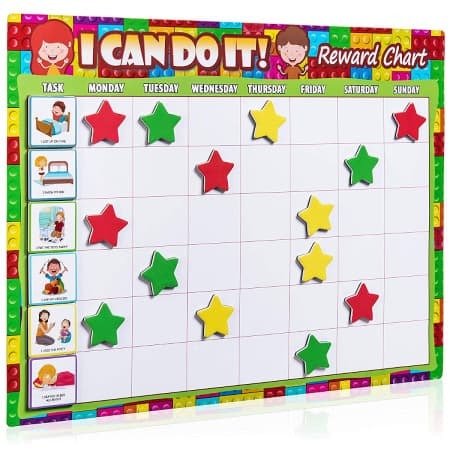 Simple Magnetic Back Daily and Weekly Chore Chart for Kids This is an affiliate link: MomOf6 earns a commission if you purchase, at no additional cost to you. 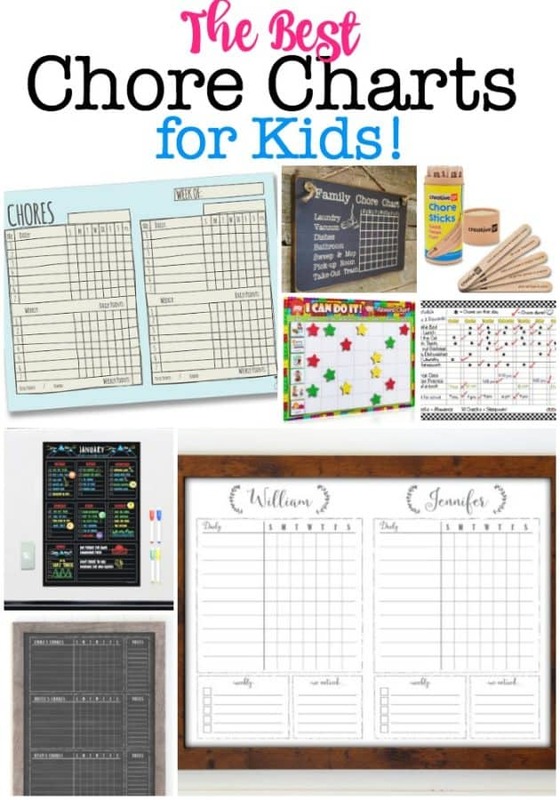 Framed Whiteboard Chore Chart for 2 Children This is an affiliate link: MomOf6 earns a commission if you purchase, at no additional cost to you. Chore Sticks for Kids This is an affiliate link: MomOf6 earns a commission if you purchase, at no additional cost to you. 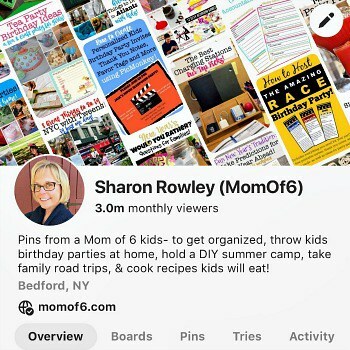 Time Tokens This is an affiliate link: MomOf6 earns a commission if you purchase, at no additional cost to you. I find that the best part of using a chore chart is that it takes away the nagging! At the beginning of the week, you make a list of chores that need doing, and assign the chores to family members along with the day of the week they need to happen- and BOOM- you've set the expectation. And while you will first need to build a routine for your family to get them to check the chore chart daily and record their actions, once that is established chores should get done fairly smoothly at your house! This is really a personal family decision. 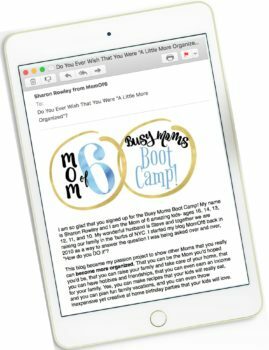 The pros for rewarding kids for chores is that you are creating an external motivation for them to complete their tasks- they get everything done, they earn the reward. And in turn, you are creating a kind of punishment as well, if they don't complete their chores- they don't earn the reward. Bummer. For many families, rewarding kid for chores happens in the form of an allowance. The con for rewarding kids for chores is that they may begin to associate helping out around the house as something that should always be rewarded in some way- vs. doing so because they are part of a community (called a family), and communities need each other to operate. Not everything we do for our community should come with a reward. I'll share with you that in our house we chose not to reward kids for chores. Once our kids hit high school, we give them an allowance- that is paid monthly- and is intended to cover certain expenses. We feel that having an allowance at this age brings with it life lessons on budgeting and saving money. But we do not tie the allowance to helping with the family responsibilities- we consider chores and helping around the house to just be what family members do. The number of family members you have– make sure that you buy a chart that works for the number of people you intend to assign chores to! 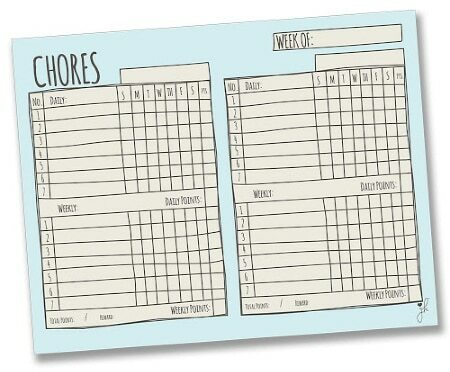 Or get an individual chore chart for each family member. The number of chores you intend to assign– some chore charts have separate sections for daily chores (like making the bed, clearing their dishes) and weekly chores (like dusting, mopping, laundry). And some charts keep it all in one section but give you a place to define which days the chores are to be done. Just make sure that the chart you purchase can accommodate the # of chores you intend to assign. 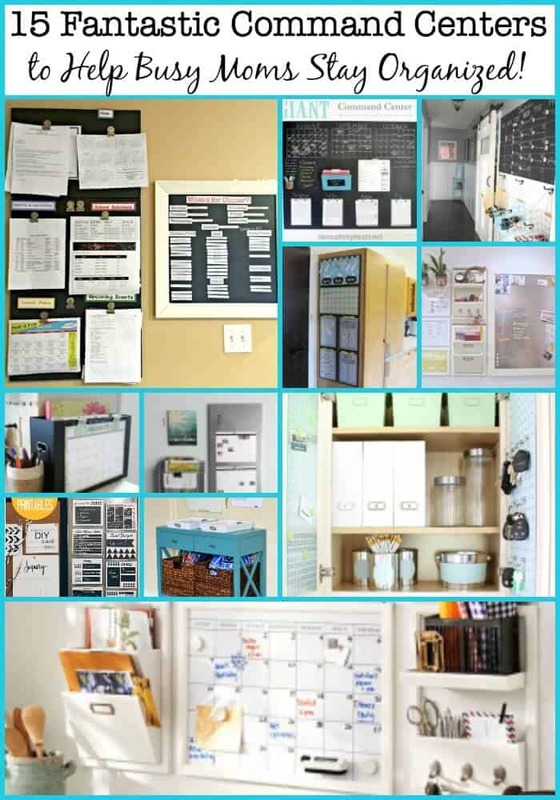 Where you'll display your chore chart– make sure the size of the chart you buy, and how it is displayed (as a magnet on a fridge, hung on a wall) works for your home. So let's take a closer look at the chore charts for kids that I recommend! Magnetic Chore and Behavior Chart What I love about this big picture (and big stars!) chore chart is that you can use it both for assigning age-appropriate chores as well as for modifying typical preschool behaviors (I will share, I used kind words, I didn't interrupt), giving this chart multiple purposes! Kids will love the large adorable drawings on the cards too! Chore Easel with Plastic Chore Tags If you don't have wall space for a chore chart- this 12/5"x10" chore chart is displayed with an included easel. Designed to be a daily chart, it uses plastic tags with stickers depicting the chores (hooks for 5 chores). The child removes the tags and places them in a pocket as chores are completed. Tags can be used to indicate rewards too. 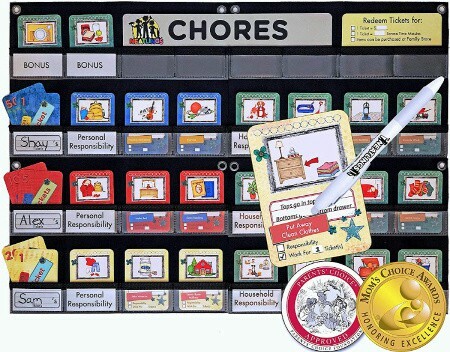 Neatlings Chore System This chore system is designed for 1-3 kids (but you can expand to more kids by connecting multiple charts together), with lots of great features. Included chore cards allow you to define assign a point value to each chore, so kids can accumulate points towards rewards. Chores can be segmented by personal vs household responsibilities or by days of the week. I like breaking down chores for older kids by daily chores and chores that only need to be done once a week. But I am always sure to specifiy what day the weekly chores need to be completed! Simple Magnetic Back Daily and Weekly Chore Chart for Kids What I love best about this large (18x14") chore chart is its simple design- which is perfect for tweens and teens! 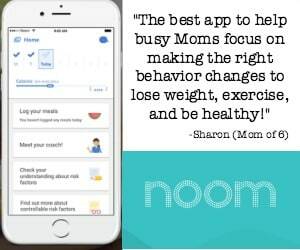 Designed to work for 2 kids- there are sections for daily and weekly chores, and room to use a point system as a motivational tool. Available in multiple colors or as a single child chart. 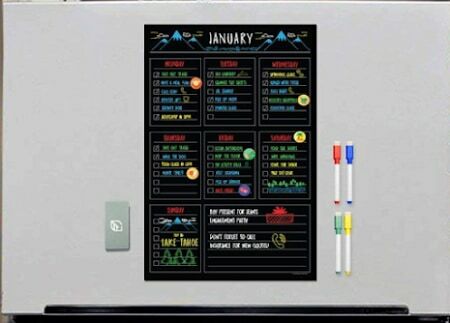 Magnetic Dry Erase Chore Chart for the Fridge This 11x17" magnetic dry erase chalkboard chore chart mounts on the fridge and can be used 2 ways. With 7 spaces to make lists- you can assign each list to a family member, write out their chores color coded by day- or make each list dedicated to a day of the week, and write out the chores color-coded by family member. Magnetic 12x17 Dry Erase "Do Board" What I love about this chore chart is there is space to both write a name next to each assignment, as well as check off that the chore has been completed, for each line and day of the week. 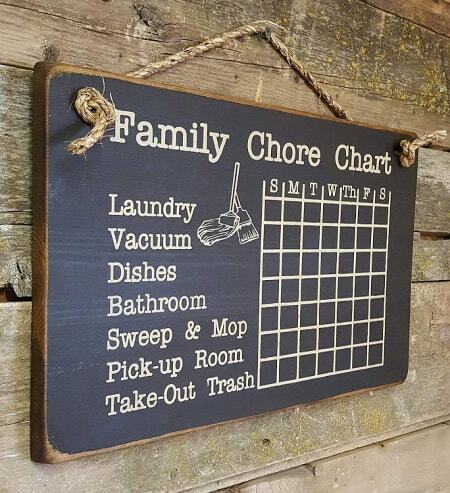 This large format 12x17" magnetic board has 15 lines for chores. While your kids might not feel any more inspired to tackle their chores just because you have a pretty chore chart hanging on the wall- it does inspire you to use it! 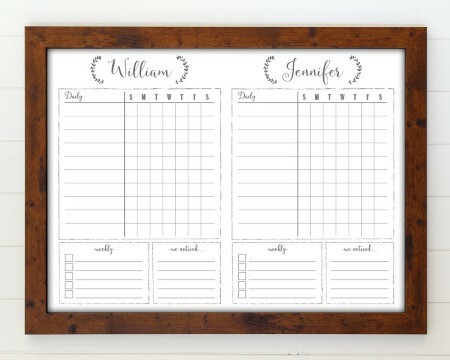 Framed Whiteboard Chore Chart for 2 Children This beautifully framed piece is a custom creation that includes your children's names as well as the specific terms you want to use (chores vs contributions). It measures 20"x26" with the frame (18x24 as just the chart). Several options for framing are available. 3 Child Framed Chalkboard Chore Chart This chore chart includes enough space to list chores for three children- all in one section each. It also allows for space for notes for each child. 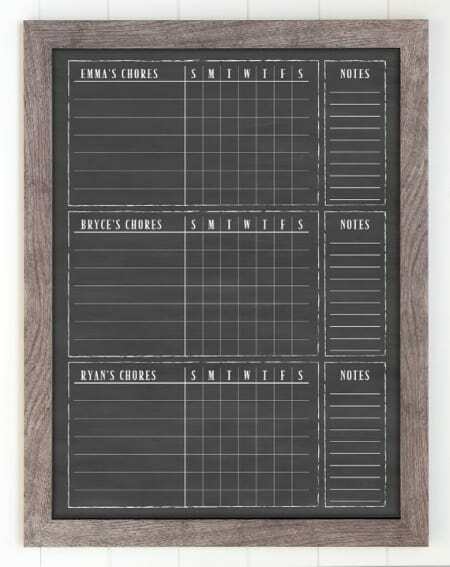 The framed chalkboard measures 20" x 26" (the chore chart space is 18x24). Because this is custom made you can alter the style or headings. 4 child and 5 child chore charts are also available. Family Chore Board This 11x18" chalkboard wall plaque comes pre-printed with the chores listed (there is also a version with more basic self-care chores for kids available). You can use different colored chalk to assign chores to multiple family members, and outline or * the box to assign the day of the week to accomplish. Looks nice on a wall- like a piece of home decor! 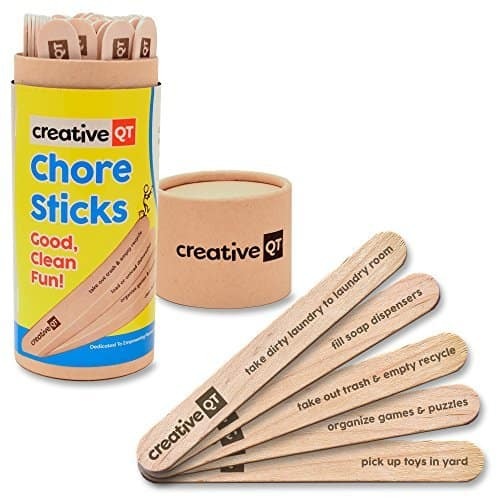 Chore Sticks for Kids This container of 50 popsicle sticks (42 are pre-printed and 8 you can customize) contains a mix of chores and fun activities- so a child never knows what they might draw! You can control the chores and activities available by which ones are in the container to pick from! 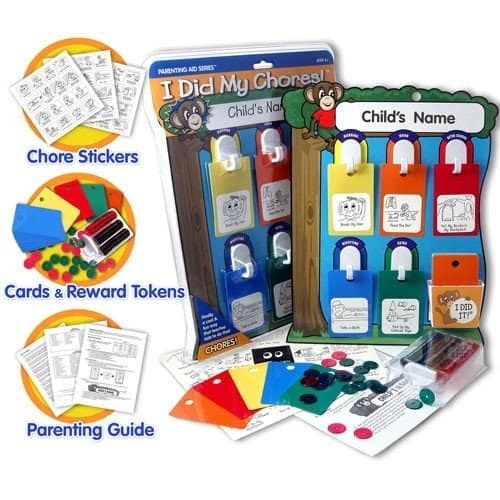 Chore Box with Chore Coins This is a good alternative to a chore chart- allow your child to pick a chore at random (you control what you ask them to do based on what coins you put in the box). 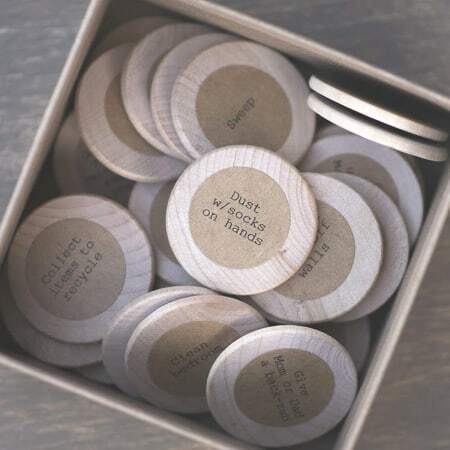 Chores coins are designed for kids ages 3-10, and ask them to do chores that require no cleaning chemicals. Children will likely enjoy the random nature of their assignments! 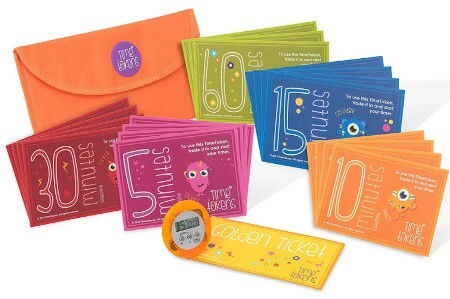 Time Tokens Some families have found success tying screen time minutes to finishing chores. These time tokens are a great way to keep track of minutes earned for each chore- and the kids trade them in to enjoy electronics time! 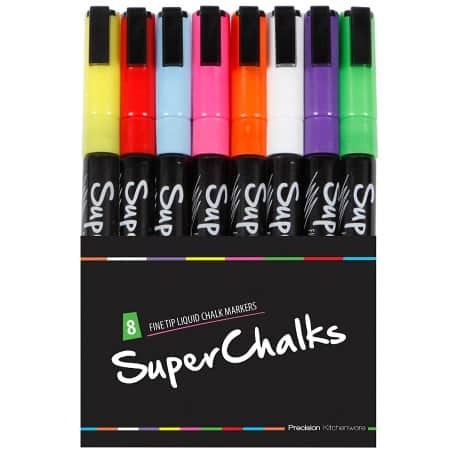 Chalkboard Markers These fine tipped liquid chalkboard markers are perfect for using on non-porous surfaces like dry erase boards. 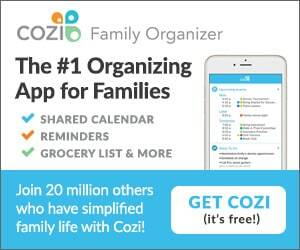 I hope that these ideas have inspired you to start using a family chore chart in your own home! This is the exact Best Chore Chart for Kids! I really impressed your knowledge and experience about this.